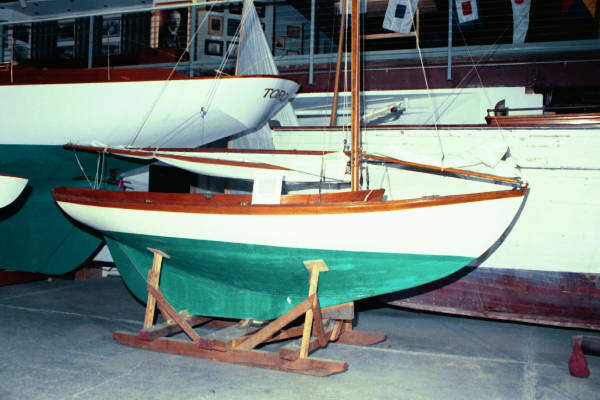 This boat is on exhibit at the Herreshoff Marine Museum. It has a square-profile tiller, and the rear deck is canvas-covered. The name on the transom is ‘Heffalump’. It was one of the 6 boats in the Larchmont class. It was sold by Henry L. Maxwell to William J. Strawbridge in 1938. It was donated to the museum by Mr. Strawbridge in 1978. The boat has a Leg O’ Mutton (Marconi) rig, and was the 7th boat to be so configured.